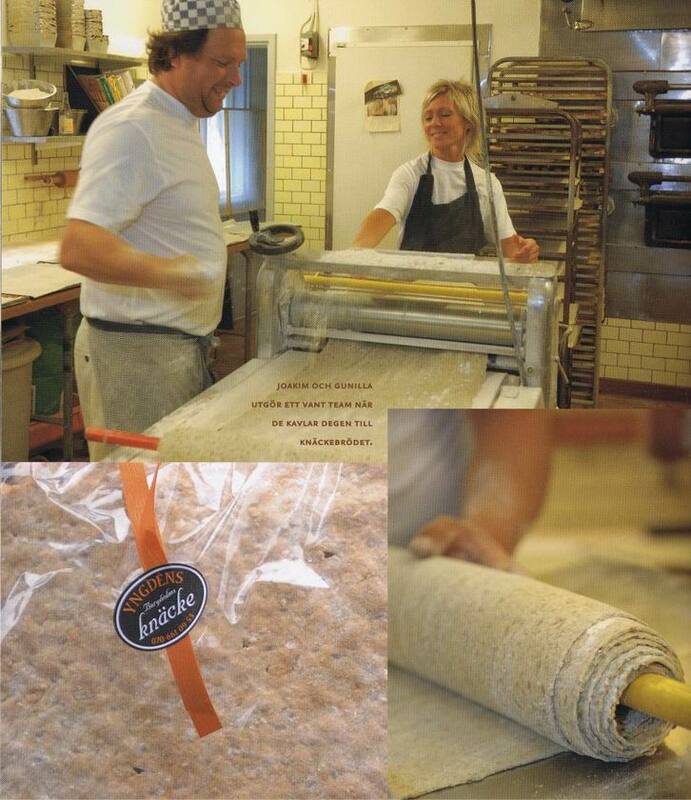 Gunilla & Joakim Yngdén have baked this unique bread since 1999 and moved in the summer of 2010 into their own bakerybuilding in Rosenfors, Borgholm, Sweden. Joakim is the 3rd generation of bakers in his family. His parents, Birgitta & Göran Yngdén were the owners of Nya Conditoriet in Borgholm, which they operated successfully for 33 years. 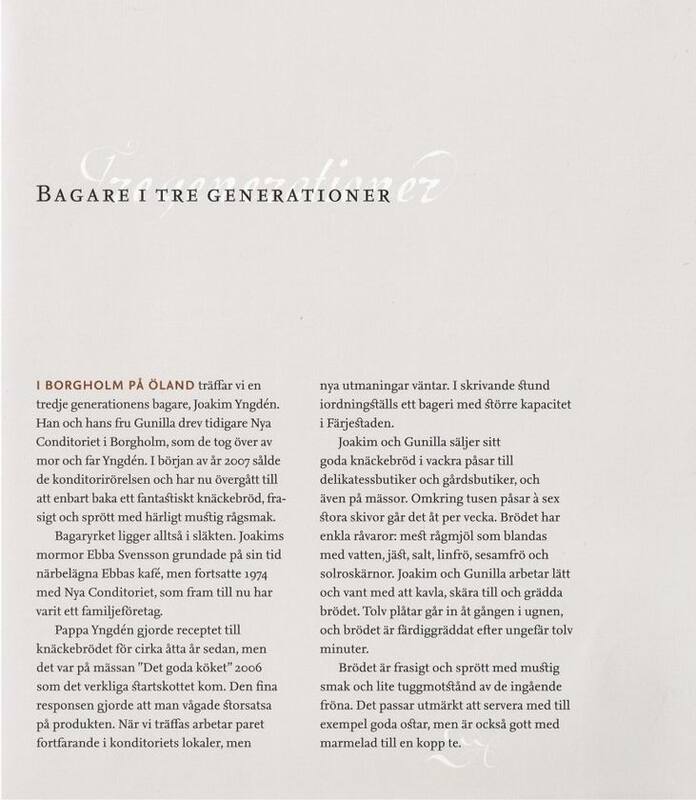 Nya Conditoriet has also been an important mentor for Gunilla and Joakim in the last 10 years. It is the guarantor of their professional skills and will help them in their quest to bring the family bakery tradition on to new exciting goals. Gunilla & Joakim sells their crispbread in beautiful bags to wholesalers, delis, farmshops and restaurants all around i Sweden and Denmark. The phenomenally good crispbread, crispy and crunchy, with wonderful rich rye taste, have simple ingredients: most rye flour mixed with water, yeast, salt, lin seed, sesame seed and sunflower seed.